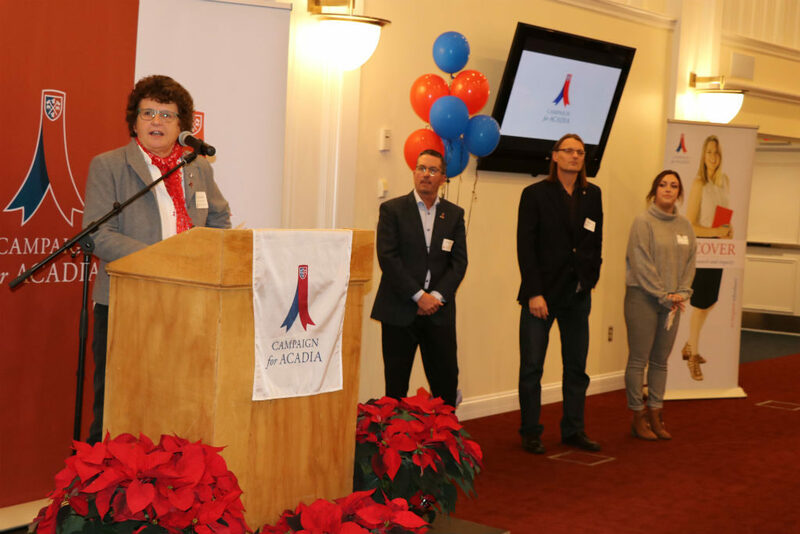 In an afternoon celebration in Wolfville, the Acadia campus and community gathered to celebrate the launch of the $75-million Campaign for Acadia, the largest comprehensive fundraising initiative in Acadia University history. The campaign will support investments in people, innovative education and research, and initiatives in campus infrastructure and student life to sustain the Acadia of today and build the Acadia of the future. Publicly announced in October 2018, multiple campaign launch events have happened across Canada and around the world. 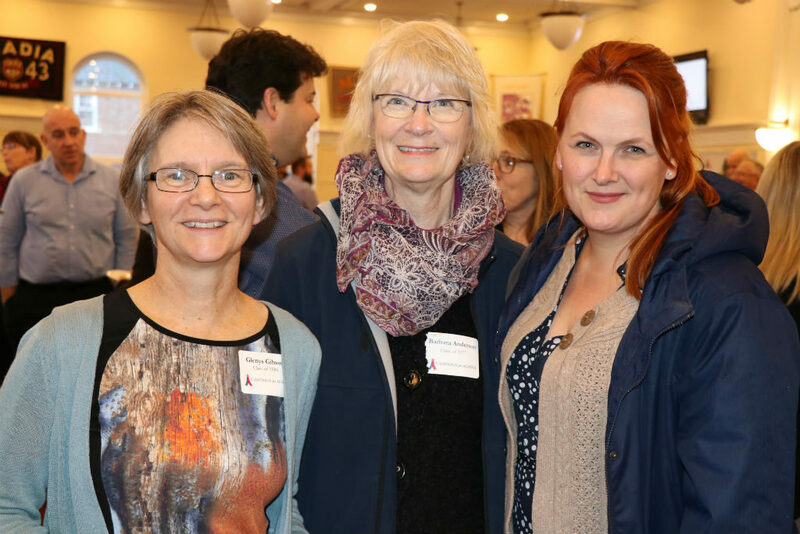 The November 27 Wolfville event was an opportunity to share the initiative with the local community. Additional campaign events will take place in Ottawa and Halifax. Transform: transformational student experiences we offer and for which Acadia has earned international recognition. “If Acadia has transformed you; if Acadia has inspired you, you will want to be part of achieving that goal,” Ricketts added. Kyle Vandertoorn, Vice-President of Student Life, Acadia Students’ Union thanked the crowd assembled in the Sheldon L. Fountain Learning Commons. Mathematics and Statistics professor Dr. Richard Karsten told the audience that he was happy to acknowledge and celebrate the many donations made to Acadia. “As a faculty member, I am privileged to be involved in the many activities these donations support; donations improve our classrooms and our research labs, they give us wonderful new spaces like the Innovation Pavilion, where we do our day-to-day work,” he said. He said he sees how giving brings the community together. He was recently able to set up a scholarship in memory of a colleague, which is awarded each year to students who are following in her footsteps as enthusiastic math educators. He said this award connects her family to the Acadia community. Class of 1981 alumna Peggy Crawford is Acadia’s Manager of Industry Partnerships and the parent of an Acadia graduate. Alumnus Jeff Redden (’83) also addressed the audience. The Windsor Home Hardware owner shared that Acadia has been an important part of his life – from meeting his wife to becoming a resident and bringing their children to cheer on the Axemen. “We chose to stay in Wolfville because of what Acadia is and what it does for the community,” he said. ‘Thirty-six years after graduating, Joanne and I are still on campus attending community events and activities from lectures to concerts and sports at the highest caliber. “We are proud to support our alma mater, both personally and through corporate sponsorship, and to be part of Acadia’s story,” he said. 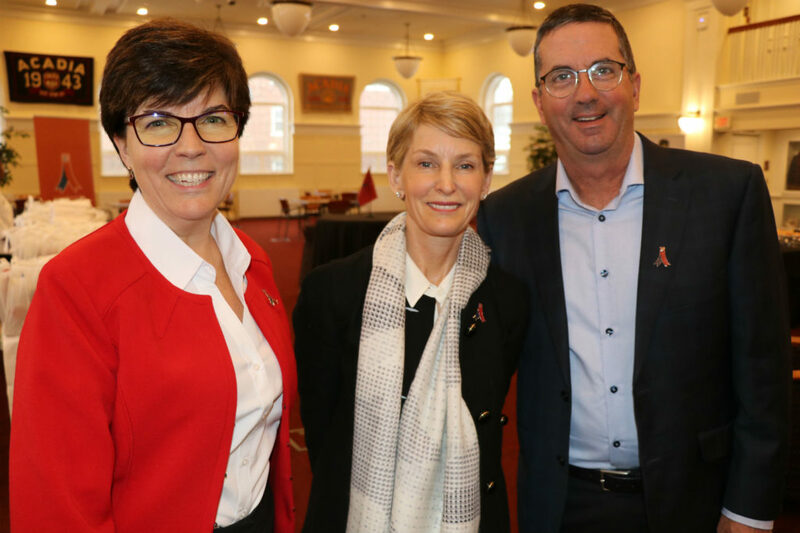 The audience of 200 University and community members who gathered Tuesday evening learned that Campaign for Acadia has already raised $40 million and has an additional $10 million in future commitments. Chancellor Bruce Galloway (’68, ’03) thanked the audience as well as Chair Nancy McCain and the Cabinet members for their leadership. 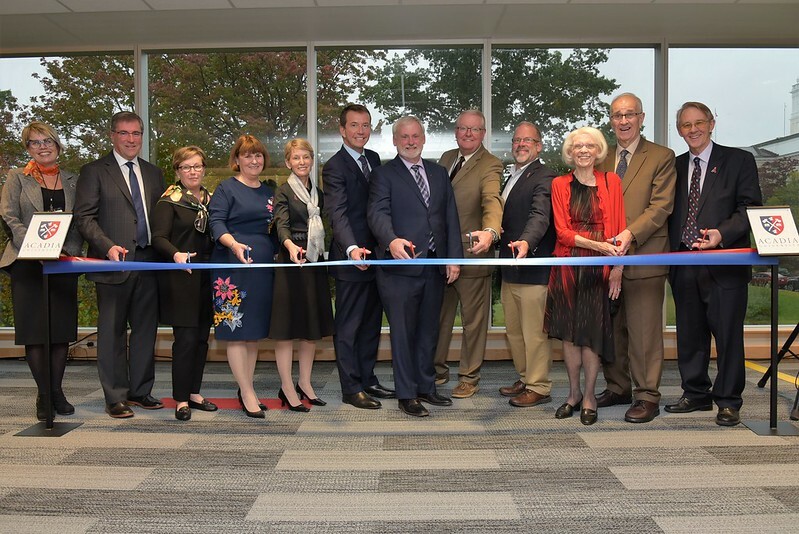 Their work, already well underway during the silent phase of the Campaign, will ensure that all areas of the University and all members of the Acadia community will benefit from the University’s new capabilities and enhanced resources.